A patient came to Dhaka from Bagura to install a valve in his heart has roamed around in various government hospitals for a week. At last, he gets a serial in National Institute of Cardiovascular Diseases (NICVD) but for the operation he will have to wait for more 45 days. Same thing happened in the National Institute of Traumatology and Orthopaedic Rehabilitation where Abdul Kayum, brother of a patients waiting to get a serial for operation whose younger brother is suffering from a major injury in his waist. But he did not get any serial for his brother. With anger, Kayum is now transferring his brother to a private hospital. Abdu Kayum said, this is the reason why people are going to private hospital instead of govt hospital. If a patient have to wait for two month to get a serial for operation then haw it could continue? Why government does not taking any initiatives to diminish the suffering of operation patient? Not only in those two specialized hospital, same situation is prevailing in Dhaka medical College and Hospital. In this hospital, around 200 operations are carrying out in 35 operation theaters. Before, the operation being conducted from 8:30 am to 2:00 pm but now the time has increased to 8 pm. In spite of that, it is becoming difficult to deal with the huge number of patients. Director of Dhaka Medical College and Hospital (DMCH) Brigadier General Md Mizanur Rahman said, to cope with the pressure of operation patients, we have started two shifts before someday. Where patients have to wait for 2 months to get a serial before, now they are getting it within seven days. 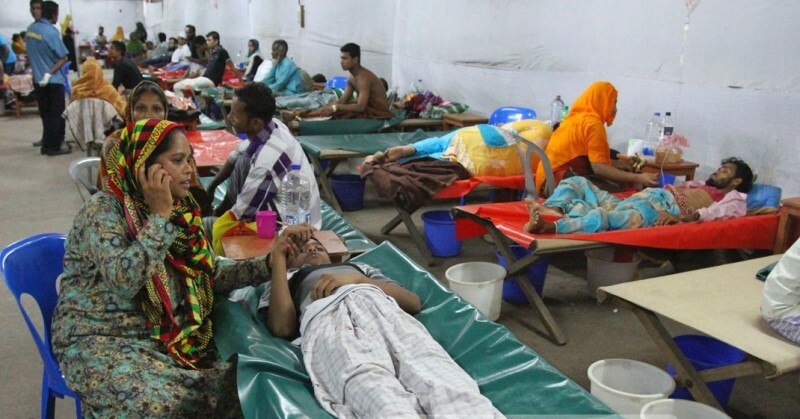 The situation of govt hospital situated located outside of Dhaka is in very terrible situation. In the Upazila level govt hospital, there has a facility of operation theater but most of time its stay abandon. Apart from that, there have no skilled nurses and other officials to carry out operation. In some hospitals, the instruments for operation become out of order. Deputy civil surgeon of Kurigram general hospital Nasrin Begum said, we have clean and hygienic operation theater with all modern instruments but there has no anesthesia and nurse. So how we could go for operation? Director of health division Dr Samiul Islam said, to reduce the tangle of operation, the government has initiated a process to keep the operation theater of various districts operational. We are also trying to solve the technical problem. Recently, we bought 40 instruments for seven hospitals located in various parts of Bangladesh. Apart from that, we have initiated a process to develop infrastructure of many divisional hospital. According to the health and family welfare ministry, under health department, there are 612 regular government hospitals. Apart from that, more 13 thousand community clinics are serving people throughout the country. All of the hospitals have Operation Theater but most of them are in out of order for various reasons.